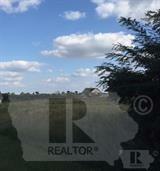 If you're looking for the ideal Lot to build the perfect home, you've found it! This Lot is a rare find with 1.31 acres containing the recommended slope, and water to the east. Lot is located in Maharishi Vedic City at the corner of Invincible America Drive and Ganapati Court. Recreational opportunities include walking distance to lake for swimming and miles of well maintained walking trails. Located near the Pundit Village and only 8 minutes from University Campus.